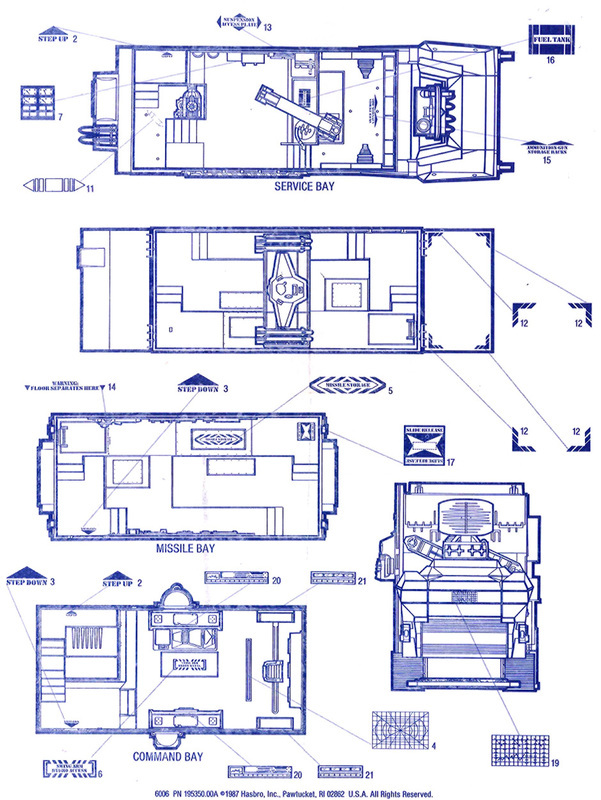 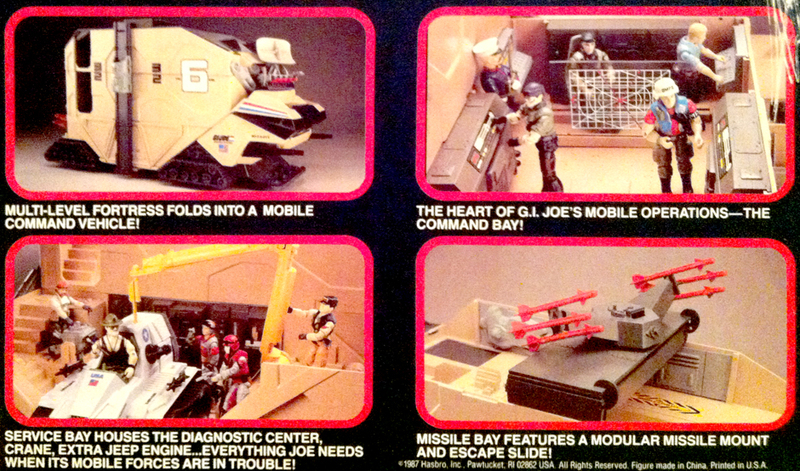 The Mobile Command Center is a rolling fortress! 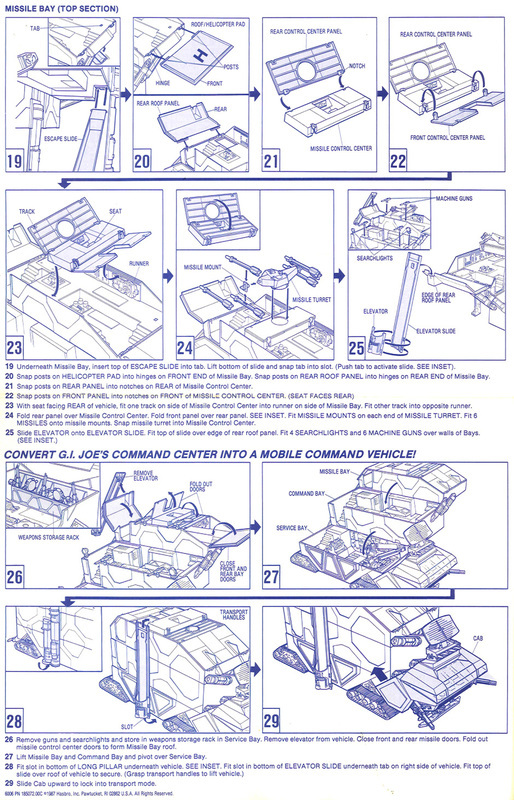 Throw it in park and open it up to reveal the service, command and missile bays. 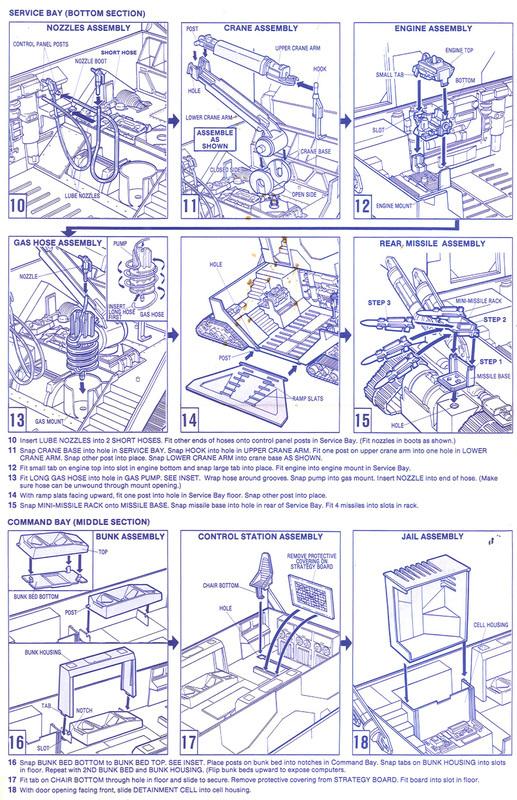 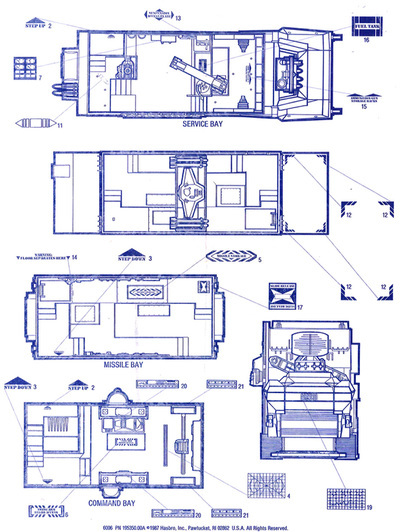 Below you see the command bay and the missile bay. 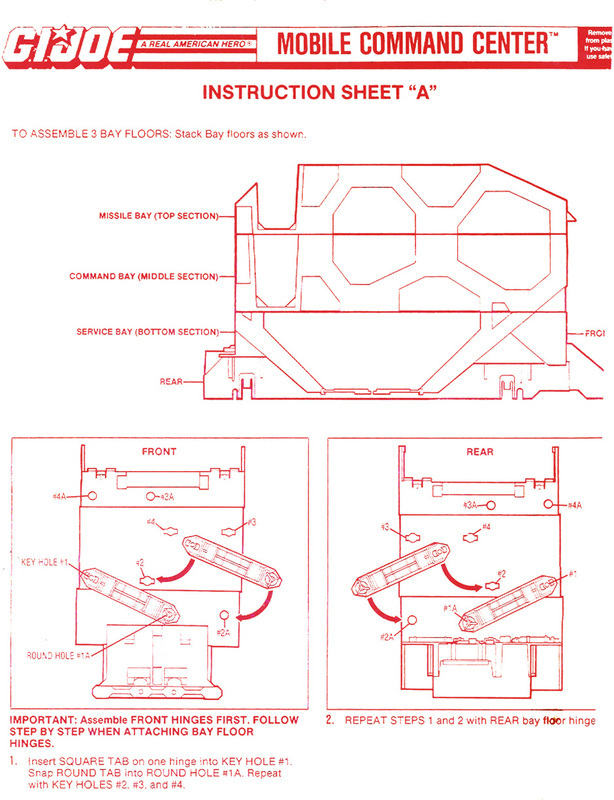 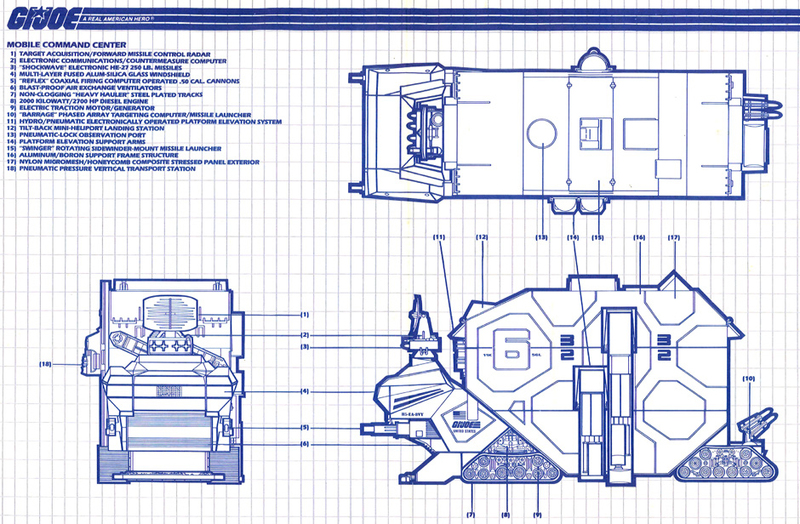 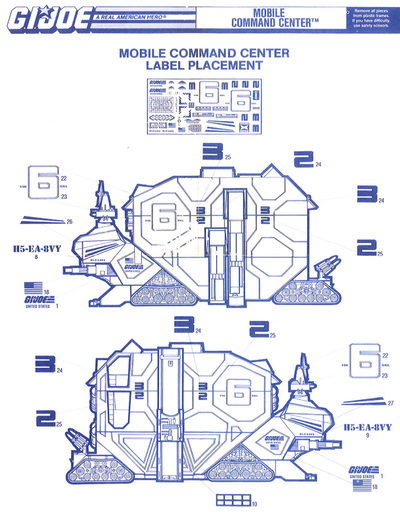 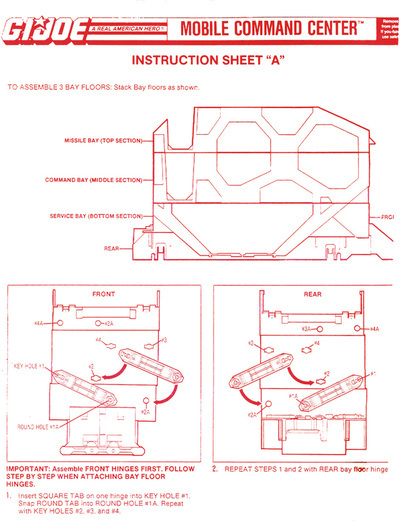 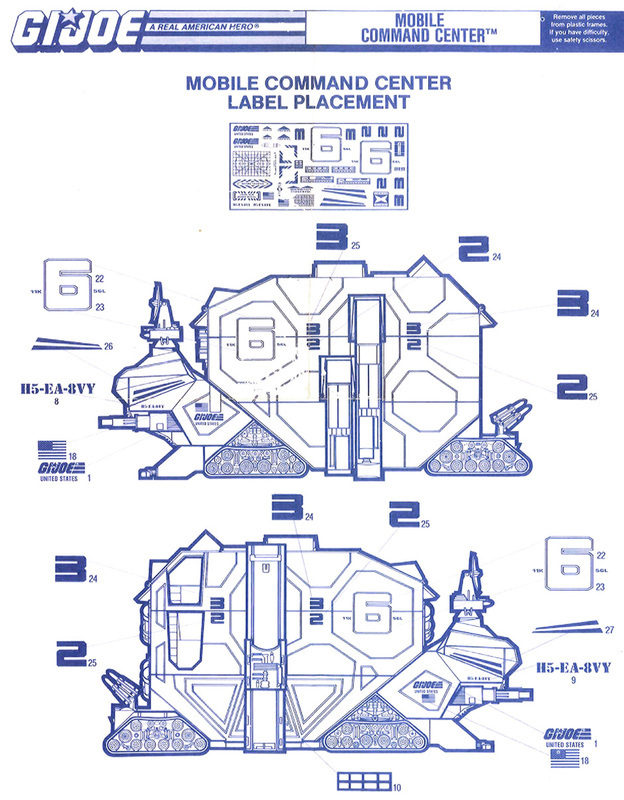 Below you see the service bay, with an optional Triple-T. 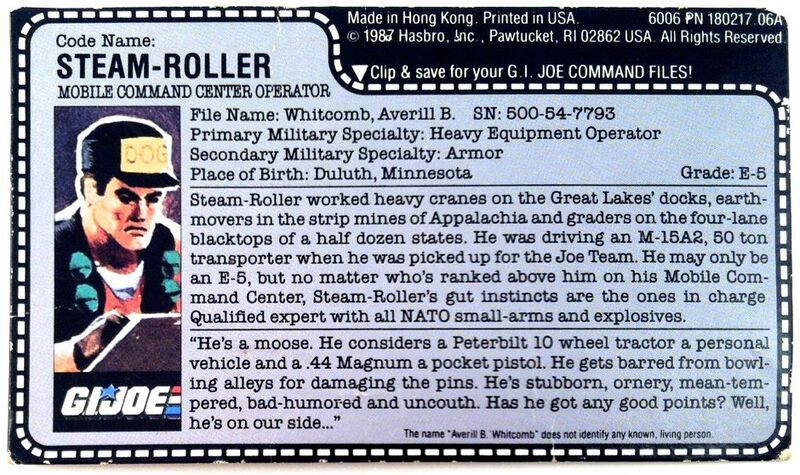 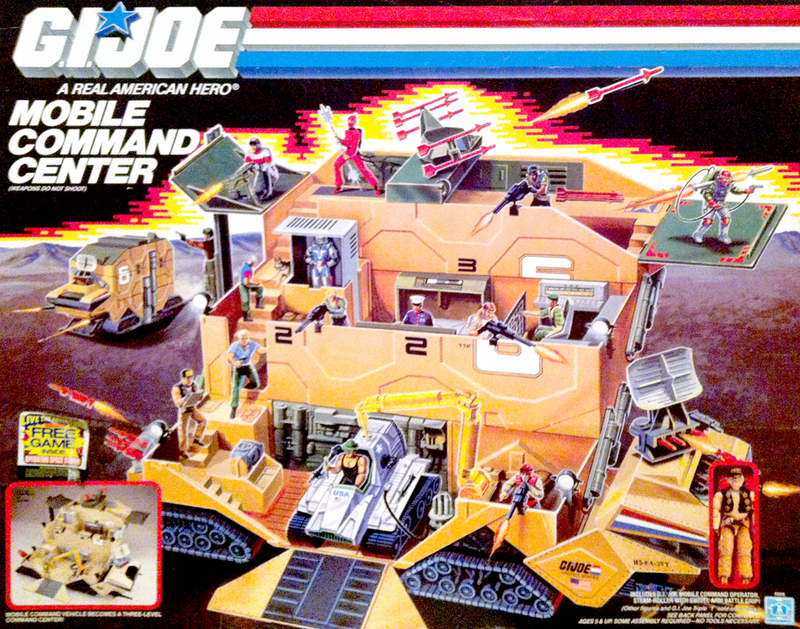 NOTE: Although the box art showed a dozen Joes, a Triple-T, and a captured Cobra Commander only Steam-Roller was included. 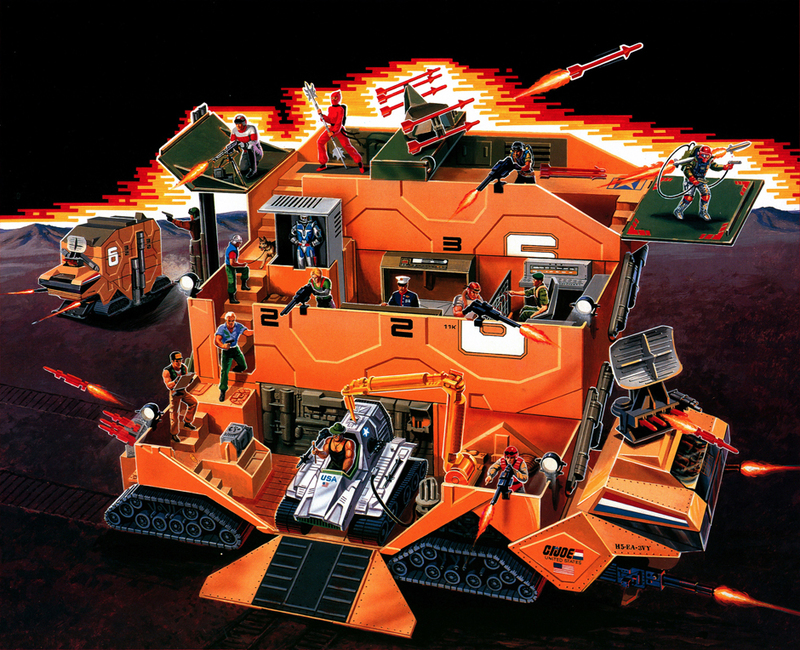 An unobscured version of the box art was re-printed in the 1989 Calendar by Landmark. 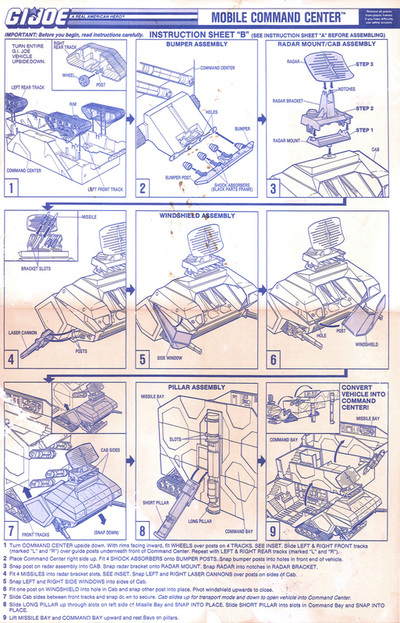 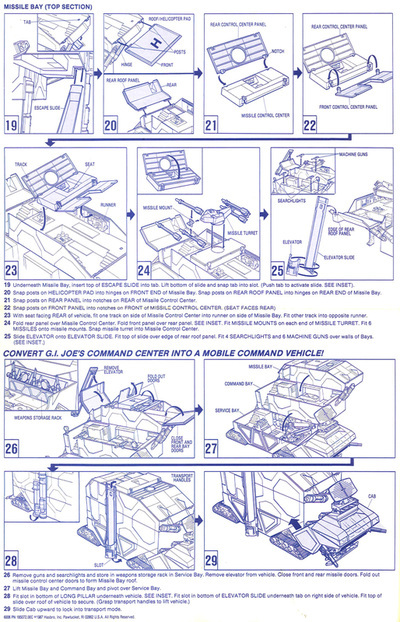 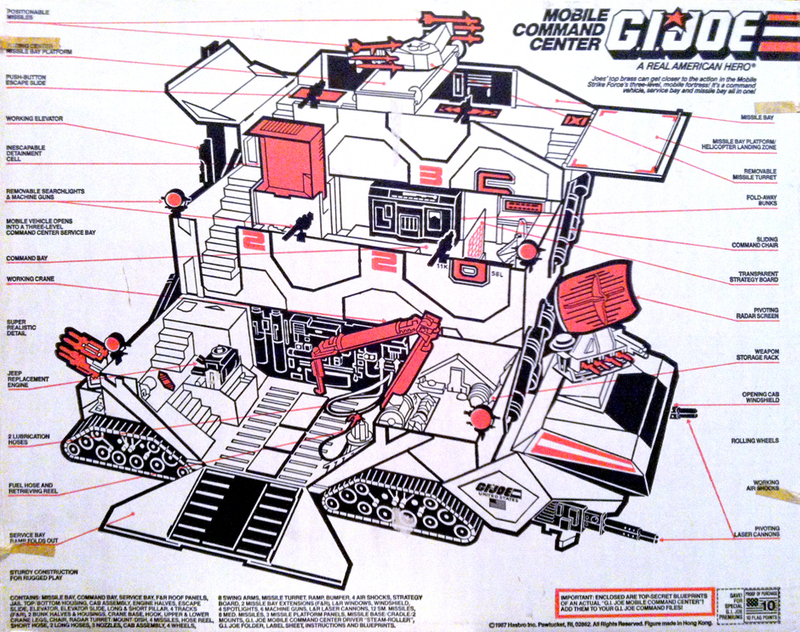 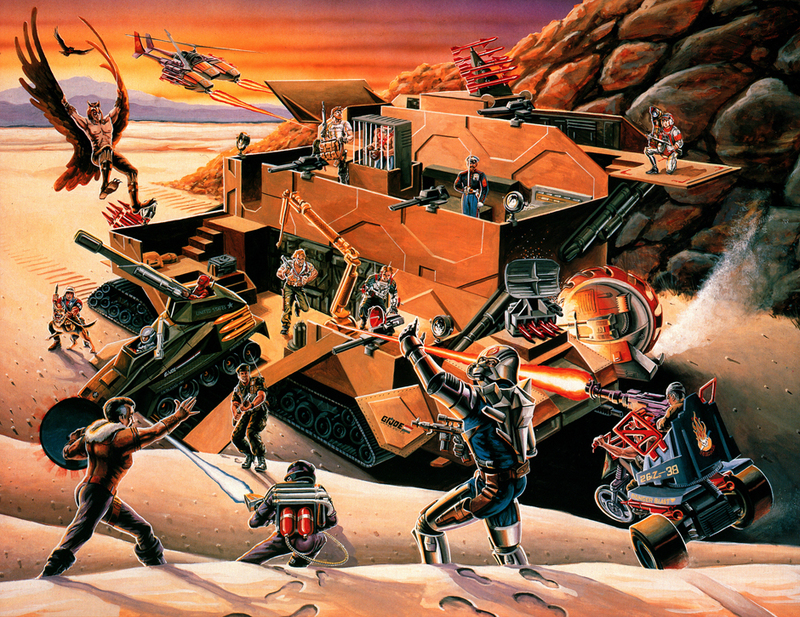 The 1989 Calendar by Landmark also featured an alternate Mobile Command Center painting depicting an all out Cobra assault.